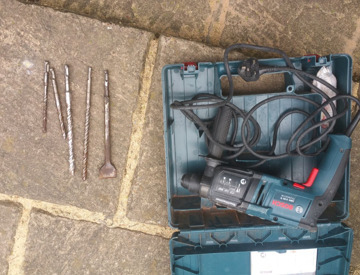 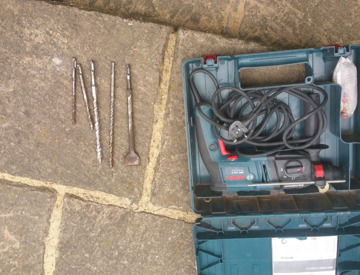 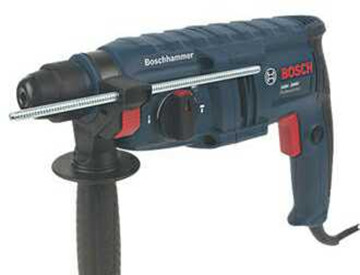 bosch hammer sds drill with some attachments. 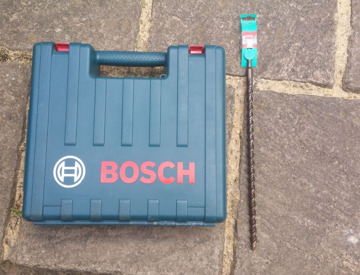 Attachments drill size 16 and 12 which are 17cm London. 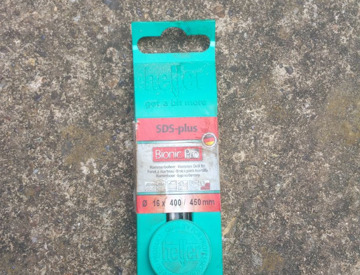 Size 8, which is 10 cm long and an attachment to break walls.